Gemma qualified with a BSc(Hons) degree in 1997 at Leeds, she then worked as a senior Physiotherapist specialising in Musculoskeletal and Orthopaedic problems, within the NHS and private settings. Her ultimate dream, however, was always to open a ‘one stop shop’ for Physiotherapy and rehabilitation where clients could be taken from initial injury to full function and to return to their sport or chosen activity. Gemma founded GK Physio and Pilates in 2011, and after working out of various rooms and studios around Ilkley, she found a lovely converted stable in the centre of Ilkley which had the added benefit of parking and ground floor access for wheelchairs. 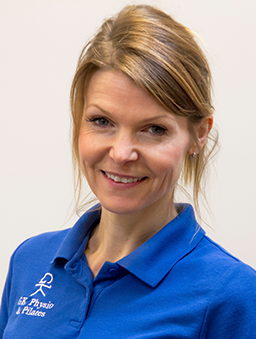 Gemma’s speciality is the treatment of all types of joint and muscle problems, such as arthritis, sprains/strains, neck and back pain and post operative rehabilitation. She uses an evidence based hands-on approach, complimented by specific exercises and clinical Pilates rehabiltation methods to address the very root of the cause. Gemma became a qualified Pilates instructor 6 years ago with the Australian Physiotherapy and Pilates Institute (APPI) and began teaching classes. She now provides classes throughout the week in the new studio, catering for the complete beginner to the established sports person wishing to improve their overall strength and stamina in a controlled and safe way. Sue is a highly experienced senior clinician qualifying in 1979. It is fair to say she has the Physio t-shirt! Sue has a huge bank of knowledge in the diagnosis and treatment of all musculoskeletal injuries. Sue specialises in muscle imbalance, which is the cause of many problems such as back, neck and shoulder pain. This may arise as a result of training for one particular sport such as running or cycling, or working at a computer or desk. 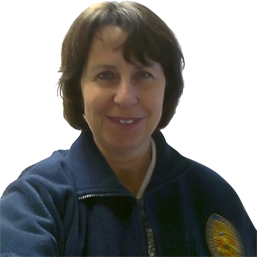 She has a keen interested in chronic or long standing back problems and has run back pain classes at Wharfedale General Hospital for many years. functional rehabilitation following injury but also in client education and preventative strategies. To this end she is also an APPI trained Pilates class instructor. Maria has completed numerous post graduate courses over the years to supplement her degree training and enjoys doing so to ensure her continued professional development.